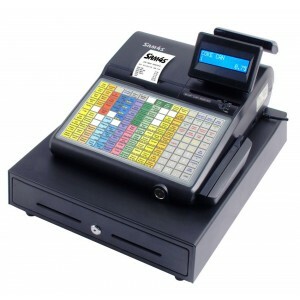 Cleveland Retail Systems Ltd stock a range of the leading systems on the market today. The SAM4S Titan 160’s vibrant & precise 15″ projective capacitive multi-touch display is extremely durable in most environments including withstanding water contact, dust and grease. The SAM4s Capacitive touch panels will activate with either a bare finger or a capacitive stylus preventing users from using pens, credit cards or sharp objects which potentially would reduce the life expectancy of resistive touch panels. In addition the screen has a more vivid and crisp colour enhancing the quality of the POS user interface. Incorporating the latest Intel Celeron M1037U 1.8Ghz fanless processor benchmarkís the SAM4S Titan 160 as one of the fastest & quietest PC POS terminals in its class. Coupled with its on board 64Gb SSD, ensures that the solid state drive remains dust free and ingress free, ideal for harsh retail and hospitality environments. 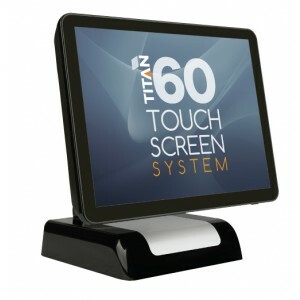 With its still proof multi-touch bezelless display, ergonomic design and die cast aluminium base, the SAM4S Titan 160 is one of the most stylish point of sale terminals in its sector. With either traditional stand or VESA options for wall and pole mount provides greater flexibility of installation. The SAM4S Titan 160 incorporates an easily removable built-in power supply which reduces cable management. 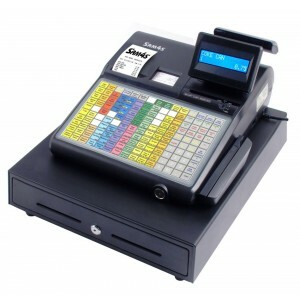 A reliable and accessible system the SAM4S Titan PC POS terminal has many added benefits making it excellent value for money and a great investment as your POS equipment. The new revolutionary Sam4s Tabby Web Server Application. 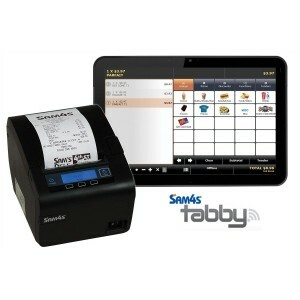 Tabby is a WEB Server integrated into the SAM4s Ellix 40 POS printer and provides a basic retail or food service POS software application. Tabby runs on any browser capable device regardless of operating system, including PCs, mobile devices or tablets. Tabby does not rely on tablet or device resources, so no software has to be loaded onto the device. Simple connect your Tabby printer to your POS terminal via ethernet cable or Wireless access point. Load you internet browser software and type in the Tabby URL and the software application is ready. The ER-900 series of ECRs are designed with a bright Alphanumeric display along with a range of keyboard designs including Raised or Flat for all Hospitality and Retail situations. The ER-900 Series of ECRís are designed with a bright Alpha Numeric display along with a range of keyboard designs including Raised or Flat for all Hospitality and Retail situations. 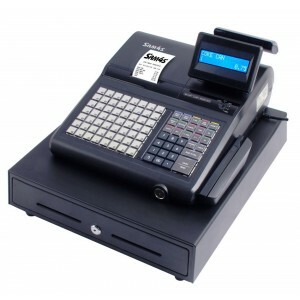 The ER-900 Series also has Single (Receipt) or Twin Station (Receipt & Journal) Thermal Printer(s) plus numerous features such as Scanning and Check Tracking to Overlapping Cashiers ensure the register is suitable for all environments. Up to 10,000 PLUs that can be accessed directly through individual keyboard PLU keys or indirectly through the PLU Look-Up key. Up to 99 Group Totals. Quick Help Function in ëREGí Mode. Graphic Bitmap Logo with 20 Pre-Loaded. Automatic Tax Computation for up to 4 Rates or Tables. 10 Media Keys: Cash, Check and up to 8 Charge Keys. Not Found PLU – with Easy Creation. 4 Automatic Currency Conversion Keys. If you have any enquiries or would like to know more about any of our systems please don’t hesitate to get in touch.